Gigi Lai (黎姿) is making history. The parent company of her cosmetics business CosMax, Miricor Enterprises Holdings Limited (卓珈控股集團有限公司), debuted on the Hong Kong Growth Enterprise Market on Tuesday, becoming a listed company. The former actress is both the CEO and the chairwoman of Miricor. When it debuted on Tuesday, the share price of Miricor was at $2.51 HKD. It peaked at $5 HKD and closed the night at $3.95 HKD, four times higher than the original price. The stock rise boosted Gigi and her family’s wealth from $204 million HKD to $1.1 billion HKD. On Tuesday morning, the 45-year-old arrived at the HKEx headquarters in Central to attend the opening ceremony, followed by her parents and her younger brother Stephen Lai (黎英), the original creator of CosMax. Gigi’s husband Patrick Ma (馬廷強) was absent. Asking if her staff has been referring her to as “Mrs. 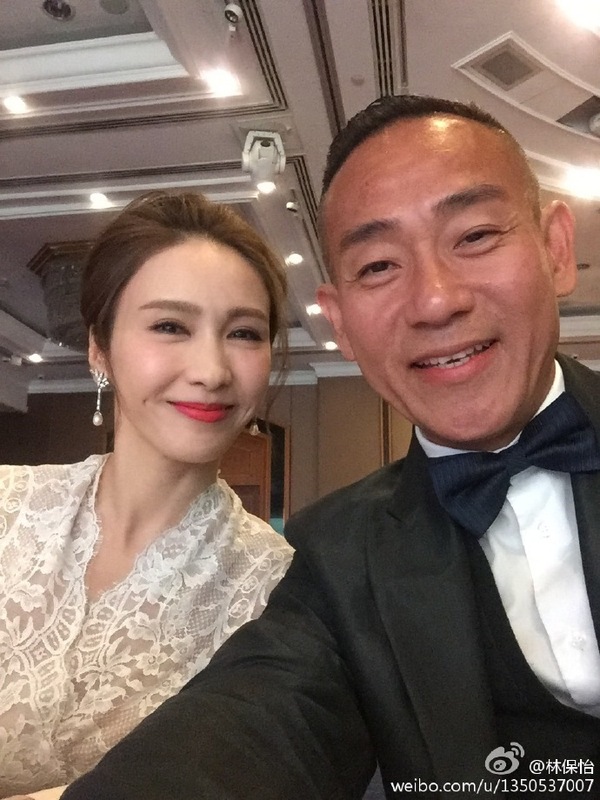 Ma” or “Chairwoman Ma”, Gigi laughed and said, “Just Gigi will suffice!” The former actress also announced that she has officially changed her name from “Lai Chi” (黎姿) to “Ma Lai Ka-yee” (馬黎珈而), a name she has been using since her marriage to Patrick in 2008. The couple have three daughters—Pricia, Gianna, and Pegella. At the mention of her younger brother Stephen, who is now bound to a wheelchair after surviving a near-fatal car accident back in 2007, Gigi got emotional and her eyes started to well with tears. After completing the TVB drama The Gem of Life <珠光寶氣> in 2008, Gigi announced her retirement from the acting industry to take care of her bed-ridden brother and succeed his cosmetics business. Gigi has been fighting for CosMax ever since. Many fans rushed to congratulate Gigi on her success. Many of their fans also left nostalgic comments, reminiscing the days when Bowie and Gigi were touted as the TV screen’s most popular couple. i was actually thinking that age has started to show on her but she looks great and maintains a very slender figure for her age. Super happy for her and family!!! She really sacrifice a lot taking over her brother company and to make it into a success story is not an easy feat!!! Congratulations!! Gigi Lai still looks great in the photo. Her cosmetics company definitely helps her to maintain a good look. Agree that she has sacrificed a lot for her brother and his cosmetics company. What a great sister! There are not that many around in this world. Having a rich husband surely helps her a lot in making her cosmetics company a big success ………… with big investments and the know-how to keep a business growing and successful. She is lucky to find her husband (Patrick Ma), though not young and good looking, who would do everything for her and her family. This is all thanks to the husband. Gigi would not be where is today. yes, maybe she did marry the right person. By the way, sorry that I did not respond to your message before since I have not been on for a long time. I have not been on because my mom was ill and recently passed away so I have been down and depressed. Anyways, nice to see you here again and wish the best of everything to you and your family this year! Hi Hetieshou. Sorry to hear about your recent unpleasant experience. Stay strong! Find some entertainment to get into better spirits or just gossip us guys. And thanks,Hope you have a much better year in 2017. Thanks so much for your kind words. I really appreciate it and remember them to help me be strong through this tough time in my life. What you suggested is what I have been doing. My mom loved watching series and chatting stars too so it makes me miss her even more when I come here. Thanks and hope 2017 will be a great year for you and your family too. Gigi has such a good heart and I always wonder what happened to her husband like how come he’s disability? Did he got into a car accident too like her brother? I think he was born like that or he had some kind of disease when he was a baby. @rainbow28 thanks for the information. Congrats to Gigi and great to hear about her again! Really miss seeing her in series. Love Gigi too. Happy for her that she is having a better life and a great career. I’m kind of confused. The site CosMax states the original creators are Korean – Kyoungsoo Lee and Jaecheon Kim and this a Korean R&D cosmetic company. They are the current CEOs, not Gigi Lai nor her brother. @coralie Seem like CosMax is the “parent” company. Her company is Miricor Enterprise Holding and she is the current CEO. @happybi Oooooh. Then…She’s not the “big boss” per se, more like the manager of a subsidiary of some corporate big boss.